The 4k release has nothing new to add except the new 2160p upscaled video and High Dynamic Range color improvements. 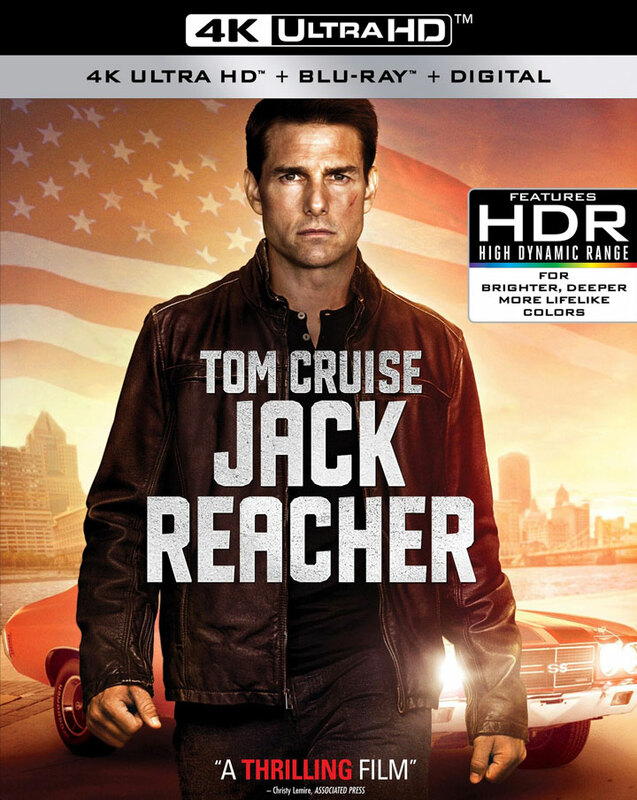 Audio is offered in 24-bit DTS-HD Master Audio 7.1 (even though there was a Dolby Atmos mix on the theatrical release) which we had hoped would be provided in Dolby Atmos like it is on Jack Reacher: Never Go Back. Based on the bestselling novel “One Shot” by Lee Child, the screenplay for Jack Reacher was written Christopher McQuarrie who also directed the film. Cruise plays the role of the ex-military investigator who fights for the truth after being connected to an unspeakable crime. The sequel to Jack Reacher (2012), Jack Reacher: Never Go Back (2016) was released to Blu-ray and 4k Blu-ray on January 31st, 2017.